Robert Koelling crew was assigned to the 515th Squadron. The above photograph was provided by Hyman Albahari's grandson, Matthew. Hyman Albahari, 42026850, Tail Turret, Dept 612, is on the bottom, second from left. 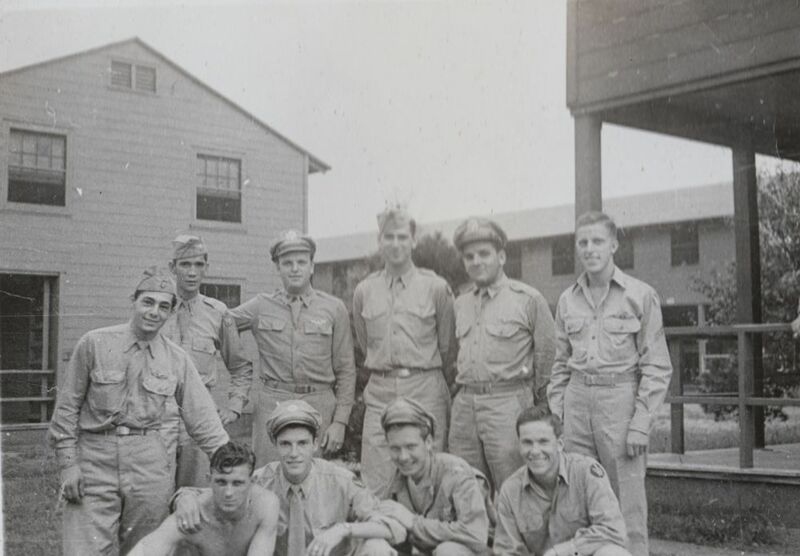 Ralph L. Pardo, 42090481, Ball Turret, Dept 612, is on the far left.